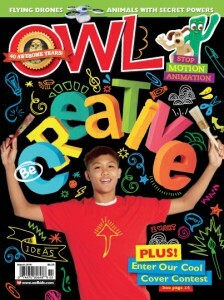 In the March issue, claymation artist Hudson Christie created a scene with Hoot, the OWL mascot! Make sure you check out the issue to see the steps that Hudson took to create this stopmotion video. The March issue is now available and we want you to get creative! Meet a claymation artist, find out about stop motion animation, visit a maker camp, and discover some amazing facts about your art supplies. Don’t forget to tell us how you like the issue! Comment below and tell us. Do you like to ski? The Canadian Ski Council’s SnowPass™ lets you ski and ride three times at EACH participating ski area for an awesome price! And who wouldn’t want to hit the slopes with a new snowboard? Yes, it’s true, the Design-a-Snowboard Contest is back! Send us your design for a snowboard for a chance to win a SNOWBOARD! So what are you waiting for? Get drawing! Click here for more contest details. Prizes courtesy of the Canadian Ski Council and SnowPass. Get ready for the new year ahead with the OWL January/February issue! There’s a lot of fun stuff happening in 2016! Like OWL’s 40th birthday (hoot! hoot!). It’s also the 50th Super Bowl this year. We’re getting the party started with some tasty snacks on page 28. We’re also still all about winter in this issue! 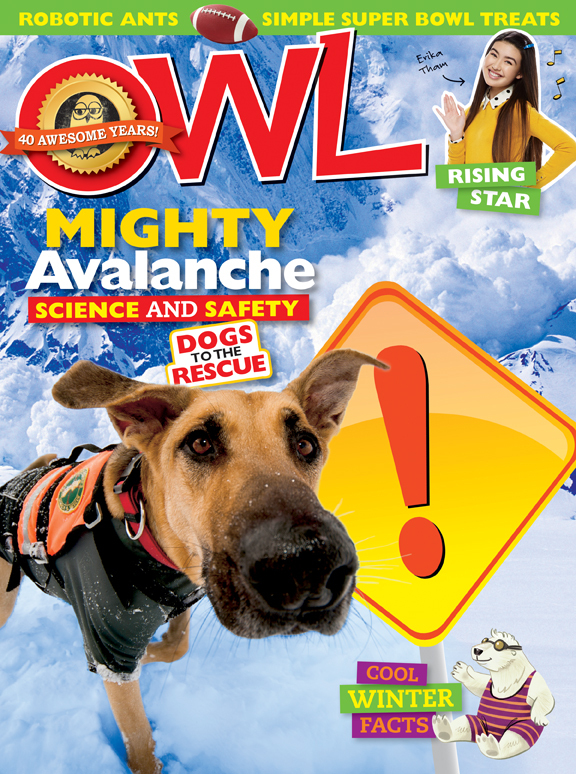 Read up about mighty avalanches in “Insider” and the Canadian Avalanche Rescue Dog Association in “Incredible.” Plus, find out how many snowflakes fall in Canada every year (hint: it’s a lot) and get other ice-cold facts on page 20. What’s your favourite thing in OWL January/February? Let us know! We’re celebrating the season with Star Wars and sea lions! Check out OWL December to learn all about Stellar sea lions. 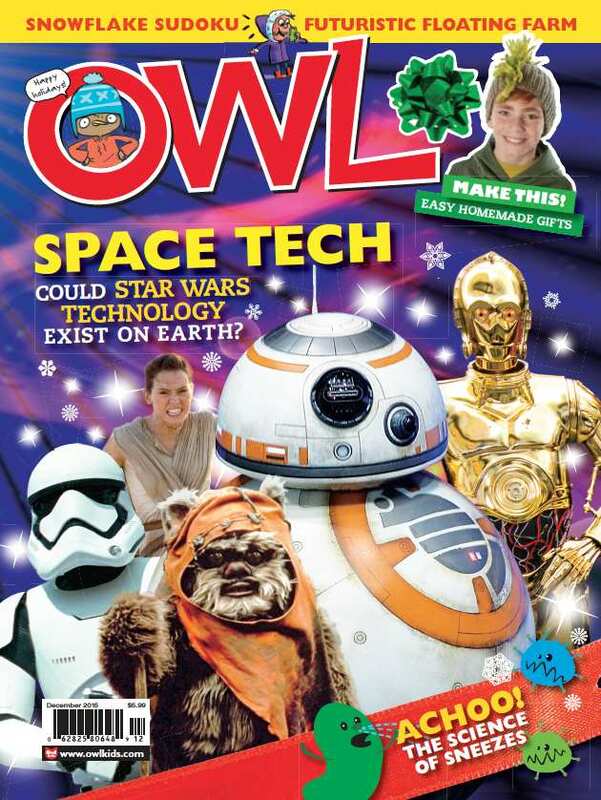 We’ve also launched an investigation into the science of Star Wars! If you’re on the hunt for homemade holiday gift ideas, look no further. OWL has you covered with super-cool crafts for your family and friends. 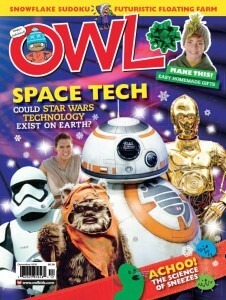 Let us know how you like the OWL December issue!